Like any good feminist, Beyoncé sticks to her guns. She knows who she is and what she likes, and apparently she really likes the wet hair look. She sported a damp bob in her music video for "Drunk in Love," rocked a similarly hosed-down look for her Grammy performance earlier this year. 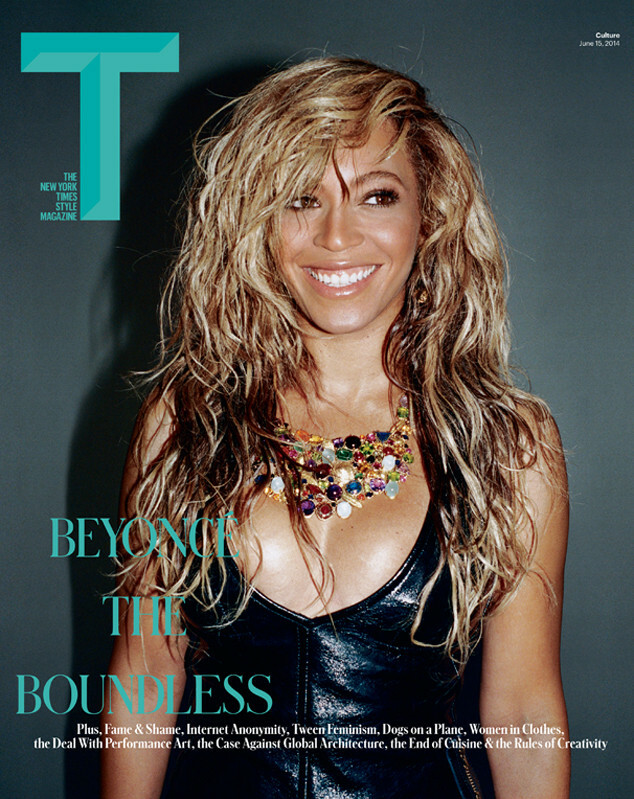 Now, just in time for summer, Bey's brining back wet pup realness for the cover of T, The New York Times Style Magazine. The "Partition" singer is pictured in a slick black halter top, jeweled bib necklace and of course, a mop of still-drying-by-the-pool hair. In the spread, we get the same 'do twice more: once framing a simple white tee and slick black skinnies combo and another in a playful printed Miu Miu mini dress and Chanel trainers. Check out all the images at T Magazine.